I originally picked this book up with the thought of reading a festive Christmas story but soon found out that it was anything but. Yes, it took place over the holiday season and there was an underlying message of hope, love and forgiveness that is often found in a holiday book but this was so much more. It was so much more in a very pleasant way. This story took place in the present with Libby and her family and in 1941 during the Nazi occupation of Jersey with Queenie's journal. In the present, Libby was struggling to juggle her work, family and social life when she had an unexpected falling out with her best friend over a family feud that she knew nothing about. Queenie's journal held the key to finding the answers to the questions she had. As with any story that weaves between past and present, I found myself drawn to the story of the past. Although this was a work of fiction, quite a bit of research went into it and I found the story surrounding the Nazi occupation of Jersey fascinating. I have a thirst for knowledge when it comes to anything regarding both world wars and this book gave me a small glimpse that will have me researching for some time to come. Although the subject matter was heavy the writing was not. The journal was easy to read and understand and had a true likeness to the writing of a young lady. I found myself enjoying it tremendously. I must admit that I struggled slightly with Libby and the present day story. Her family was brutal and I found myself really disliking them. Even as the story progressed and things changed for the better come Christmas, I found it was too little too late. They were just too obnoxious, selfish and spoiled to be redeemed within the pages of this book. Also, the issues surrounding her eldest son were too serious and concerning to be wrapped up as neatly as they were. I found myself rushing through the pages in order to get back to the journal and Queenie's story. All in all, this was an easy and enjoyable book to read. The past story more than made up for what I felt was a much weaker present story. I enjoyed learning about the setting and felt that it was as much a character as the people in the book. Christmas on the Coast turned out to be a lot more, in a good way, than I was expecting out of a Christmas story. I am really glad that I had the opportunity to read it. 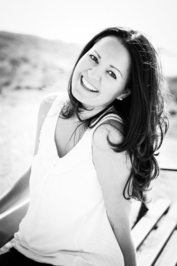 Rebecca Boxall was born in East Sussex in 1977 and grew up in a bustling Vicarage always filled with family, friends and parishioners. She now lives by the sea in Jersey with her husband and two children. She read English at the University of Warwick before training as a lawyer and also studied Creative Writing with The Writer's Bureau. 'Christmas at the Vicarage', her first novel, became an international bestseller, selling over 100,000 copies, and her second book - 'Home for Winter' also made it to bestseller status. 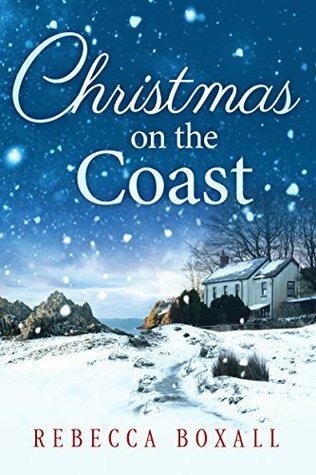 Her third novel - 'Christmas on the Coast' is due for release on 10 October 2017.